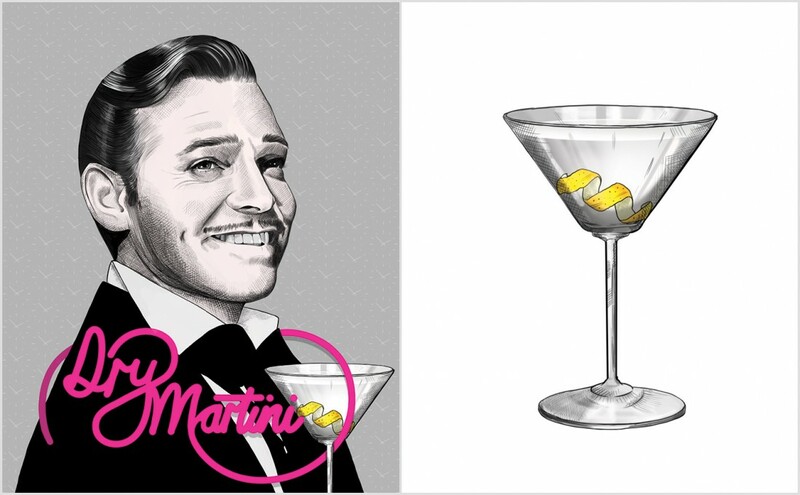 When looking at the evolution of cocktails from the 19th century through to the present day, it becomes apparent that the Martini has become drier over the years. The ratio can be as much as 10:1 for the driest of Martinis, at which point you can employ the vermouth rinse – rinsing the glass with vermouth before pouring back into the bottle – or use an atomiser to spray vermouth over the iced gin. Stir the ingredients in a stirring or mixing glass with ice for about 30 seconds, then strain into a chilled cocktail glass. To garnish, peel a strip of zest from a lemon, fold it lengthways over the drink to express the oils, wipe it around the glass rim, twist it and drop it into the drink.